Grizzlies captain Alex Newhook leads the BCHL in scoring as he gets set for the World Junior A Challenge. The Victoria Grizzlies’ Fab Five are taking their act to the international level. The quintet from the B.C. 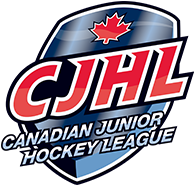 Hockey League team was named to Team Canada West on Wednesday following a selection camp this week in Calgary. 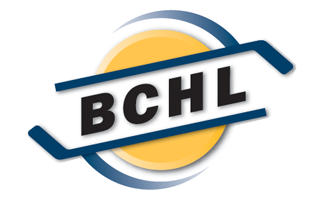 BCHL scoring leader Alex Newhook, New York Rangers draft pick Riley Hughes, Alex Campbell and defencemen Jeremie Bucheler and Carter Berger are headed to the 2018 World Junior A Challenge from Sunday through Dec. 16 in Bonnyville, Alta., which will also feature Team Canada East, Russia, Czech Republic and the U.S.
Newhook is projected by Central Scouting for the first round of the 2019 NHL draft. That main scouting combine also has Campbell slotted for the fourth to seventh rounds, although other prognosticators have Campbell moving up as high as the third round. The Grizzlies’ five join a Team Canada West roster of 13 forwards, seven defencemen and two goaltenders that includes 14 players from the BCHL, five from the Alberta Junior Hockey League and three from the Manitoba Junior Hockey League. The only teams with multiple players named are the Grizzlies, Penticton Vees of the BCHL with three and Vernon Vipers of the BCHL and Spruce Grove and Okotoks of the AJHL with two each. “The five of us [Grizzlies] bring different styles and aspects to the camp,” said Campbell, before leaving for camp. That is a decision that will be up to team management. “After months of preparation and identifying players, it was great to gather in Calgary and allow the players to compete for a spot,” said Kevin Saurette, director of operations for Team Canada West. Defending gold-medallist Team Canada West opens Sunday against the U.S. in a reprise of the 2017 championship game in which Canada West, backstopped by Grizzlies goaltender Zack Rose, defeated the Americans 5-1 in Truro, N.S. Rose is still with the Grizzlies but is currently injured. Team Canada East opens against the Russians. World Junior A Challenge alumni include Brock Boeser, Dennis Cholowski, Joe Colborne, Nikolaj Ehlers, Dante Fabbro, Mikhail Grigorenko, Tyson Jost, Evgeny Kuznetsov, Elias Lindholm, Cale Makar, Jaden Schwartz, Vladimir Tarasenko, Kyle Turris, Andrei Vasilevski, Jakub Vrana and Nail Yakupov.